Nissan Motor is bringing the legendary Datsun brand back to the Middle East with the exclusive launch of two models in Lebanon, the on-DO and mi-DO. Both models make owning a new car an attainable reality for a significant portion of first-time auto buyers. 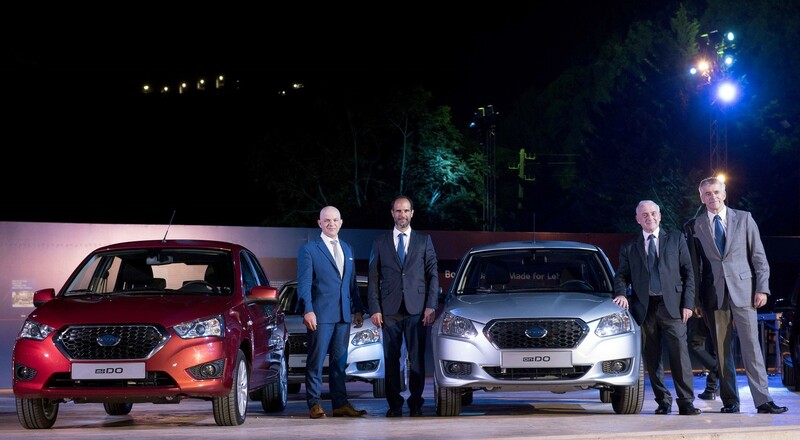 Launched in 2014 after the brand was globally phased out in 1981, Datsun has sold over 170,000 cars in India, Indonesia, Russia and South Africa. Making its Middle East debut in Lebanon, Datsun is building on its long-standing heritage where it already enjoys a popular following since Rasamny Younis Motor Company (RYMCO) sold the first Datsun cars in Lebanon in 1967. The two models will be available in Lebanon through RYMCO, Nissan and Datsun’s distributor in Lebanon for the past 49 years, and will include the on-DO four-door saloon and the mi-DO five-door hatchback that are designed at Nissan’s state-of-the-art Global Design Centre in Atsugi, Japan. The on-DO is designed to be a large, authentic and tough family sedan starting at USD 11,900, providing a high level of quality, reliability and competitiveness. The mi-DO is a 5-door hatchback starting at USD 12,900, a stylish car with cool, distinctive and dynamic design to match its reliability and versatility. The two models appeal to different consumer segments, with on-DO aimed at buyers with family needs while the mi-DO targeting younger motorists seeking fun, dynamic and dependable transport. Both models are built with integrity, feature modern design, quality materials inside and out, and offer excellent ground clearance with plenty of trunk space. Both models also include a host of advanced safety and comfort features as standard and provide worry-free motoring with a comprehensive three year / 100,000km warranty. “We anticipate strong demand for both models and expect to secure entry segment leadership in Lebanon within the next 3 years,” added Cherfan. · Trust (MID) grade (Manual Transmission): USD 11,900 including VAT and Reg. · Trust (MID) grade (Automatic Transmission): USD 12,900 including VAT and Reg. · Dream (HIGH) grade (Automatic Transmission): USD 13,900 including VAT and Reg. Both models are available for purchase from today. A trendy and youthful family car, the Italian way… Fiat 500L Trekking hits the roads of Lebanon!